The Bottom Line: The best Eisler thriller in years. Over the past two decades, former intelligence operative-turned-novelist Barry Eisler has created some of the genre’s most compelling characters, most notably John Rain and Livia Lone. 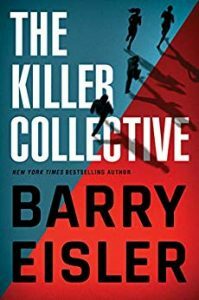 Eisler brings them together with great effect in The Killer Collective.